Cream the butter, cream cheese and powdered sugar together. Mix pudding together with the milk, add the Cool Whip to pudding mixture. Then blend in with the cream cheese mixture. Crumble the Oreo’s in a blender, leave the cream in the Oreo’s. 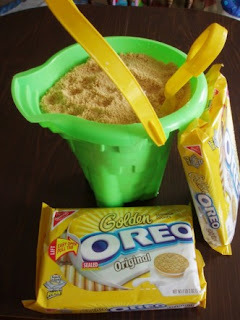 Use a sand pail to fill with your yummy treat. Alternating cookie crumbs and filling, ending with the cookie crumbs on top. Top with a sand shovel for serving. 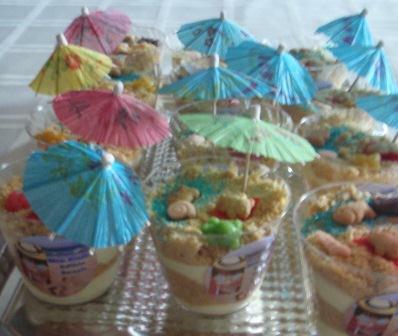 Check out the individual sand cups too. View Our Back To School Page! Over 100 files!!! – Click here to learn more!